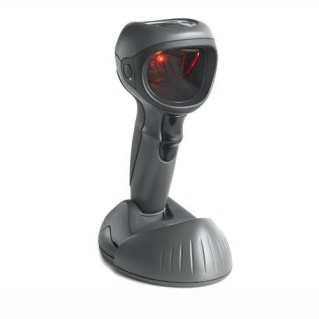 The DS9808-R is a ground-breaking device that is not only the first USB combination 1D/2D barcode scanner and UHF RFID reader, it also represents a new RFID product category — the first combination handheld/hands-free UHF RFID reader. The ThingMagic USB Pro RFID Reader allows solutions developers to support applications that require desktop reading and writing of EPC Global Gen2 tags as well as other protocols such as ISO18000-6B, IPx and AEI ATA through additional license. Based on ThingMagic's best-in-class M6e-Micro LTE UHF RFID module, the USB Pro RFID Reader is controlled and powered by a host PC or laptop through a USB interface, and in addition, supports autonomous operation. 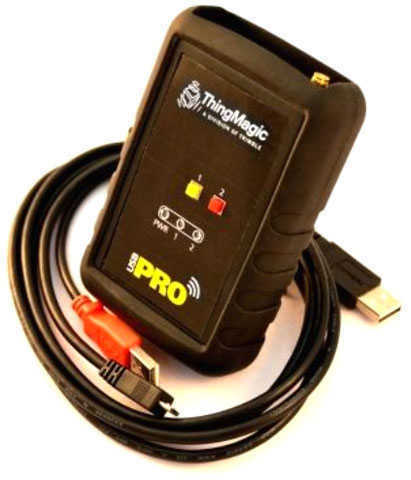 The ThingMagic USB Pro RFID Reader is compatible with ThingMagic's application development tools, including Universal Reader Assistant, permitting rapid creation of solutions to support a wide range of applications, including tag commissioning, manufacturing WIP, document tracking, retail POS, and workflows for health care, events, and hospitality.